A discussion of major issues facing our democracy with an emphasis on public schooling. A grassroots rebellion against the No Child Left Behind Act is sprouting all over the country. It’s long overdue. What’s surprising is that the most active opposition is growing in a conservative state. And it’s being waged on behalf of immigrant children. State and local officials in Virginia are defying a federal order to test these students in a language they don’t fully understand. U.S. Education Secretary Margaret Spellings insists that, after just one year in United States schools, children learning English must take the same standardized tests as native-English speakers – regardless of the language barrier. About 70,000 students in Virginia are now classified as English language learners. Many would be set up to fail if the feds get their way. By doing so, Virginia schools risk losing millions in federal funding. The state’s Republican-controlled legislature, anticipating that outcome, is making plans to sue Secretary Spellings. This is not about evading “accountability.” Virginia already requires schools to assess students’ progress in learning English. For several years they have been using such tests – which serve a valid educational purpose – to determine whether students are making “adequate yearly progress” under the requirements of No Child Left Behind. But Spellings says that’s no longer good enough. All students must tested for “grade level proficiency,” she argues, or they will be left behind. Never mind that assessment experts say English-language achievement tests are “neither valid nor reliable” for English learners. In other words, we can’t count on such tests to generate meaningful information about student progress – a reality that even the U.S. Department of Education does not dispute. “English language learners are far more likely to fail standardized tests than native English-speakers,” says Queens College professor Kate Menken. But “this does not indicate that the students or those who educate them are failing” – only that the tests are not designed to measure what these children have learned. Drawing on her research in New York City, Menken warns that using invalid tests to make educational decisions often “results in classroom teaching strategies that are inappropriate for English language learners.” Schools feel increasing pressure to teach to the test and to eliminate effective programs like bilingual education. Yet this is precisely what the Bush Administration is demanding. “High stakes” are attached to grade-level assessments, and No Child Left Behind requires that all kids be tested. Where scores are low, schools must be labeled failures and subjected to sanctions. Educators can ultimately lose their jobs. What better way to give English learners an early taste of failure? To stigmatize them as a burden to their schools? And to discourage instruction in their native language, because students must “perform” in English or else? The federal mandate is a bit like requiring hospitals to use faulty thermometers to measure every patient’s temperature, then relying on the results to rate doctors’ performance and make decisions about medical care. Nonsensical rules are not unknown in the federal bureaucracy, but the requirement to use invalid tests is in a class by itself. What’s really going on here? No Child Left Behind was the centerpiece of “compassionate conservatism,” the strategy that put George Bush in the White House. With the law up for extension in Congress this year, the Administration is trying to bolster its rationale. Schools will never do a good job for Hispanics, the logic goes, unless they are forced to do so. High-stakes testing, backed up by the threat of harsh penalties, provides a handy crowbar. So what if the system is irrational, unfair, and unlikely to improve instruction? By making public education look bad, it will pave the way for privatization – the Right-Wingers’ ultimate goal. Blaming the schools also diverts attention from the real causes of underachievement. These are much tougher and more expensive to address: poverty, family illiteracy, inadequate health care, inequities in school spending, and a shortage of teachers trained to meet the needs of Left Behind groups, including English learners. When the nation finally gets serious about providing excellent schools for all kids, this is where we will invest our resources – not in additional tests of dubious value. Meanwhile, let’s hope the Virginia rebellion continues to spread. 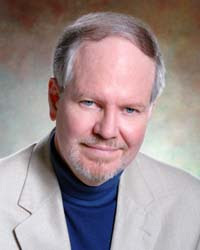 James Crawford is President of the Institute for Language and Education Policy. Well said. I'm taking an ELL class for my school admin program right now, and I'll put this on my blog for my cohort to see.